In Clash of Clans, it is super important to know how to three star in war. Therefore, today I have a three star attacking guide for Town Hall 9s using GoHo. GoHo is a combination of golems and hogs to achieve the three star in clan war. Lets go step-by-step and walk through how you three star a base using GoHo. 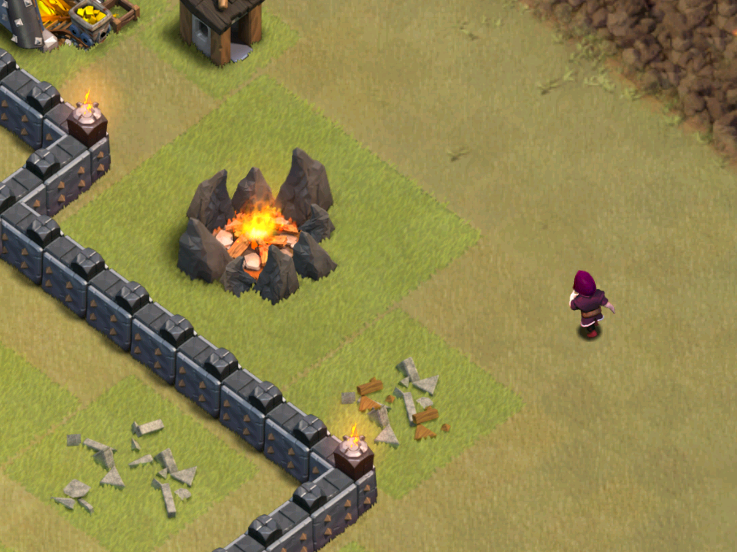 So first off, when using GoHo, you shouldn’t lure the clan castle troops out to the corner of the base. There is simply no need to do this using this Clash of Clans strategy. So your first move is to play down 2-3 golem, trying to attack the side of the base that is easiest to draw in the heroes and clan castle troops. After your golems head in, you need to start placing down your wizards, archers, or whatever support troops you brought along. Place these in a line behind your golems to clear the outside structures. By this time, your golems should have activated the clan castle troops. Don’t bother with a poison spell; their troops are probably tanky, plus you’ll need them later to clear skeleton traps. Anyways, you need to get your queen in fast now, so that she can kill the clan castle troops before they do too much damage to your golems. Drop both your heroes so they have a straight shot to the center of the base. 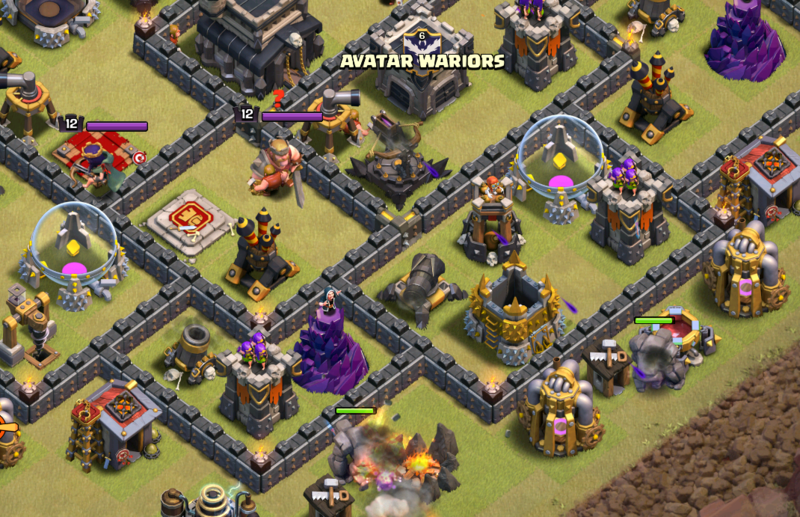 The queen should be able to take down the opposing clan castle troops pretty easily. However, because she is ranged, she will destroy other buildings before she turns to the enemy queen. That means that your king is usually left to deal with the enemy queen. To ensure your king isn’t taken out by the opposing queen, you need to drop a jump spell into her section and hit the king’s iron fist! 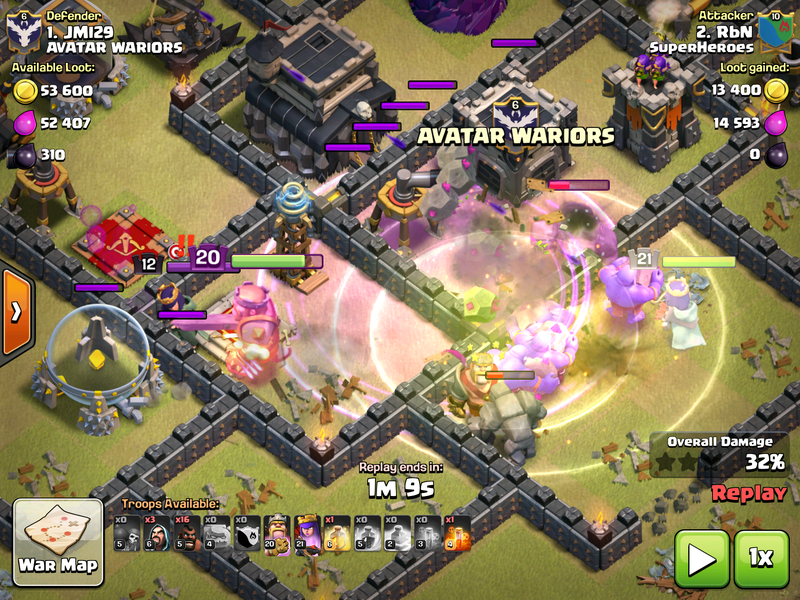 So once the queen and clan castle troops are down, you need to start dropping your hog riders almost immediately. For most quality GoHo attacks at Town Hall 9, you want to do strategic hog placement; that is to say, not sending in all your hogs in the same spot. You want to place 2-3 on each defense. Keep using this strategic hog strategy all the way around the base, making sure you hit every single defense! 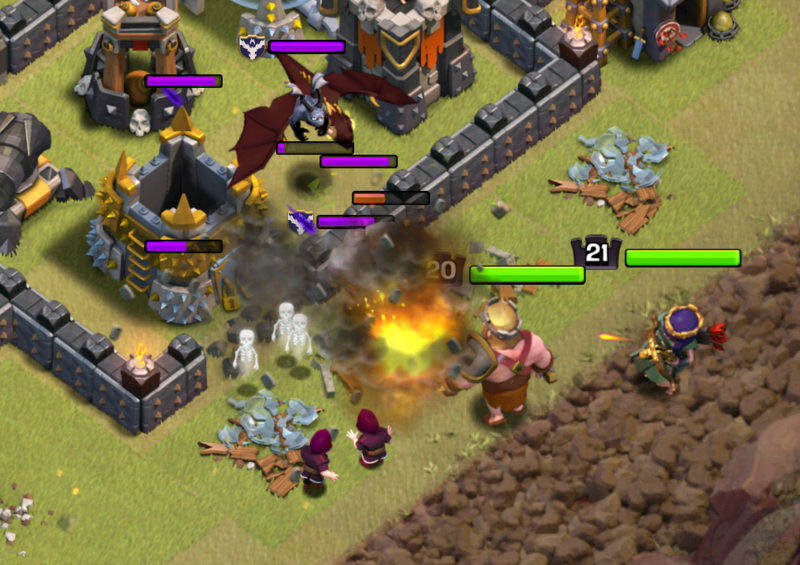 The golems and other troops from the “Go” part of the strategy should help distract some of the defenses. After the hogs have cleaned up the defenses, it is time to clean up the left over buildings. As soon as there are no defenses targeting a certain building, place down an archer or wizard to start to take it out and move up the line. Eventually, the hogs will finish up all the defenses and turn to help the clean up process. Remember, get this part going as soon as possible because time is a huge factor in hog raids. So that is all the strategy behind three starring in Town Hall 9 Go-Ho attacks. I hope you guys learned something and can bring it in your next war attack! See you guys soon with more advanced strategy!